NHL News : Breaking: The Hurricanes have been sold! Breaking: The Hurricanes have been sold! Relocation next? 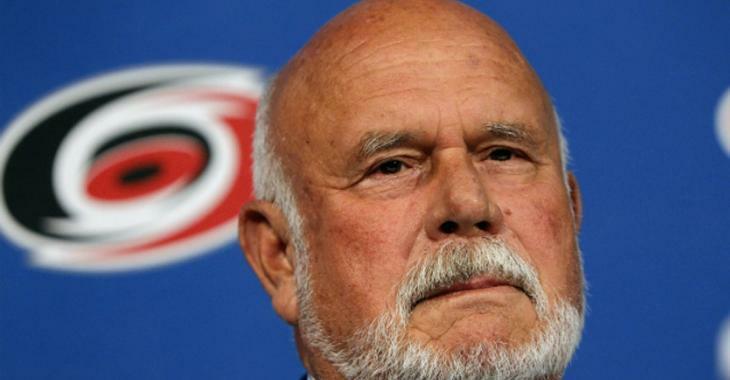 Minority owner Peter Karmanos makes some surprising comments! Carolina Hurricanes owner Peter Karmanos and potential buyer Tom Dundon have presented their plan of sale to the group, as the NHL Board of Governors are meeting this week and looking over the project. According to Gino Reda of TSN who spoke with the two men, a decision on the sale should be finalized by the afternoon, but it looks like the team has been sold. Karmanos is expected to remain a minority owner. The NHL has previously made it clear that no sale would go through without a commitment that the team will stay in Carolina for the time being. Dundon was more than willing to accept this clause. Therefore, relocation is not on the table at this time, despite low attendance numbers in Raleigh.